For my Dad’s birthday in November I wanted to get him something completely different. Do you ever feel like Dad’s don’t really need anything? Women like things. Dad’s though…I mean yes always the shirt, a tech gadget, golf gift, slippers. 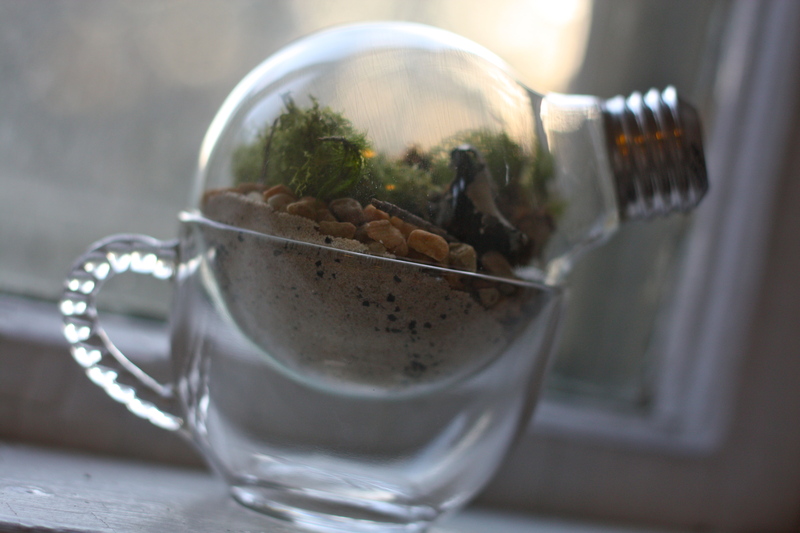 Well, what about a light bulb terrarium? My dad works at a lighting company. 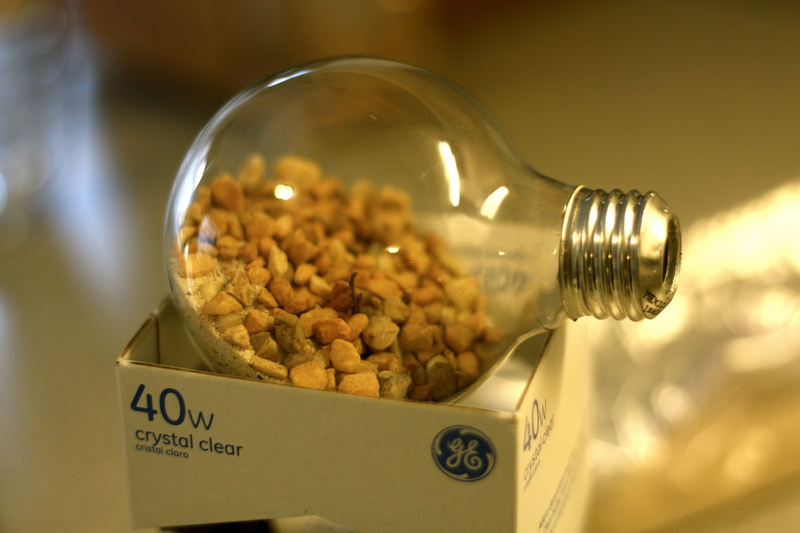 All things light bulbs are what he loves. He’s not always out in the field though, spends a lot of time in his office so I figured this was the perfect gift. I Googled around for some tutorials and only found a few that I felt were really great. This is the one that I used. 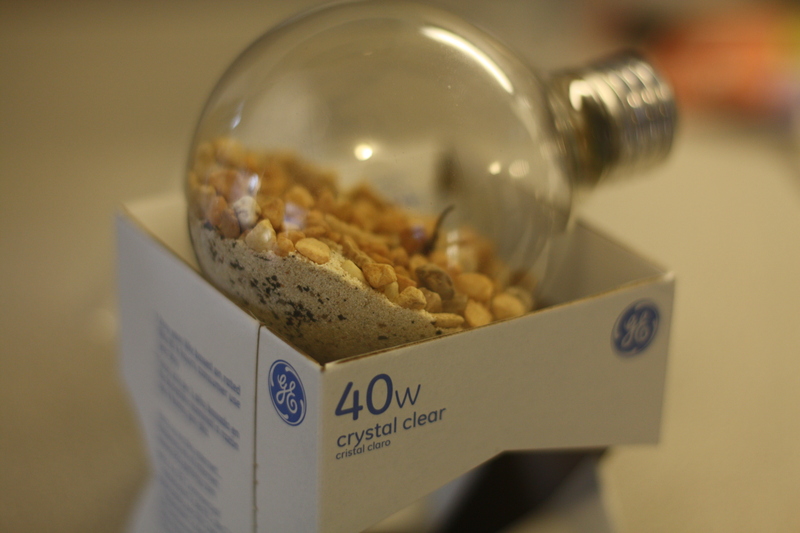 Al gutted the light bulb, and if you decided to do this at home definitely do it in a shoe box or some sort of box, because one of our bulbs shattered when doing this step. 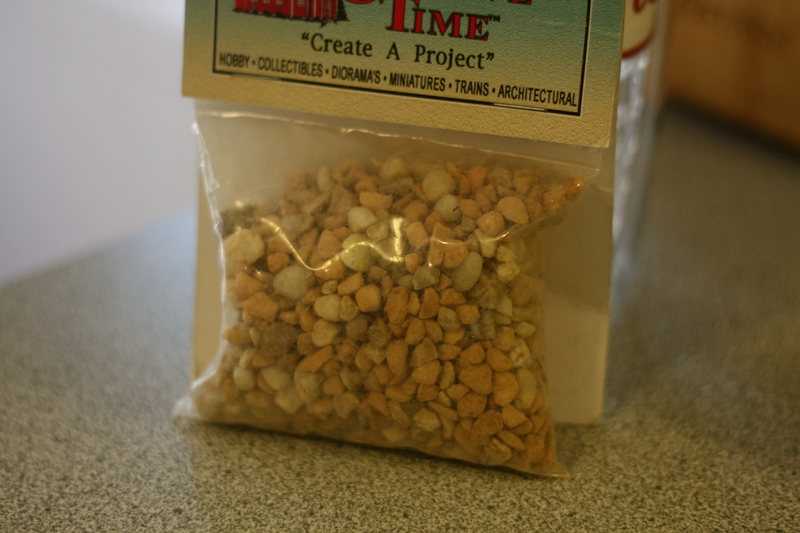 I used sand from a beach that I had and then bought some small rocks and moss at A.C. Moore. This was a tricky project to photograph while doing, so I apologize for the lack of some photos. 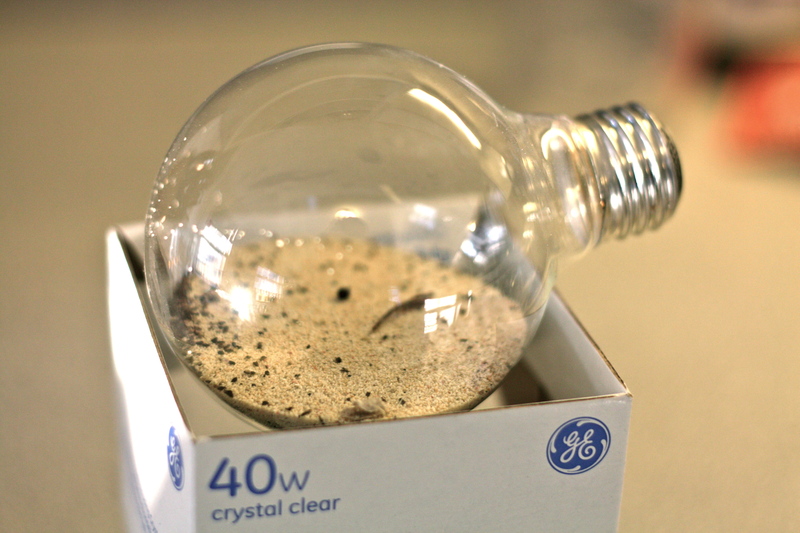 To insert the sand and rocks into the light bulb I made a funnel type shape out of a small piece of paper and then slowly poured each into the bulb. I poured the sand first and then the rocks. 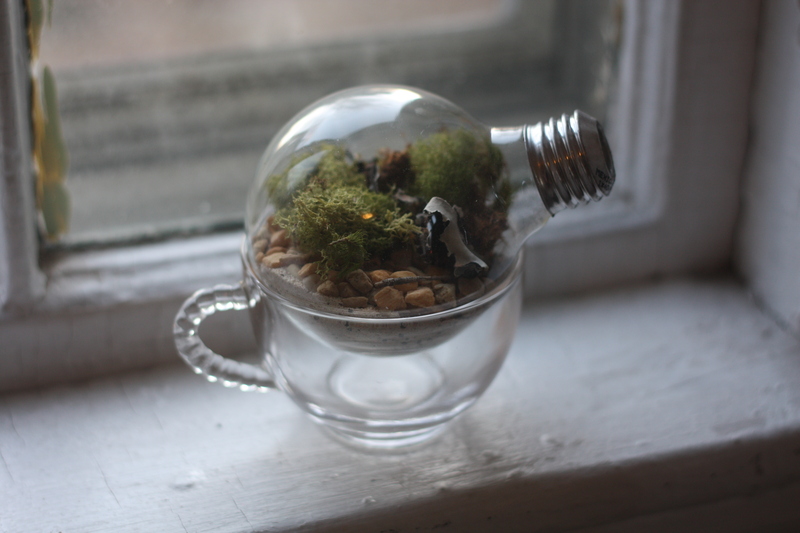 I used a chopstick to put the moss in the light bulb and move it around into place. Here’s the final outcome. It’s resting in a teacup here, but on my Dad’s desk it sits in a cap to a mason jar. Ya know, how the mason jar has a ring around the top, that’s what it’s in. 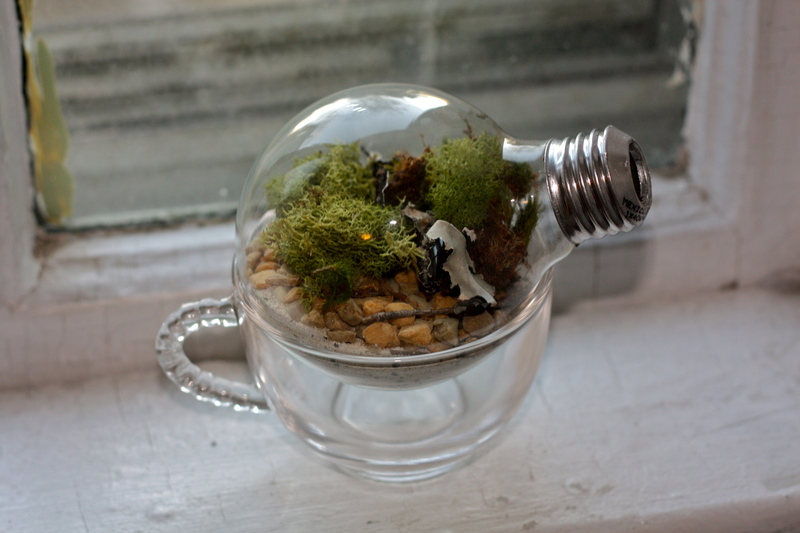 I became a little obsessed with terrariums and I have plans to make a large one for our living room. Dad liked it too and he did actually put it on his desk. Probably because I harassed him to take it to work and BE CAREFUL driving it. We find ways to humor ourselves. 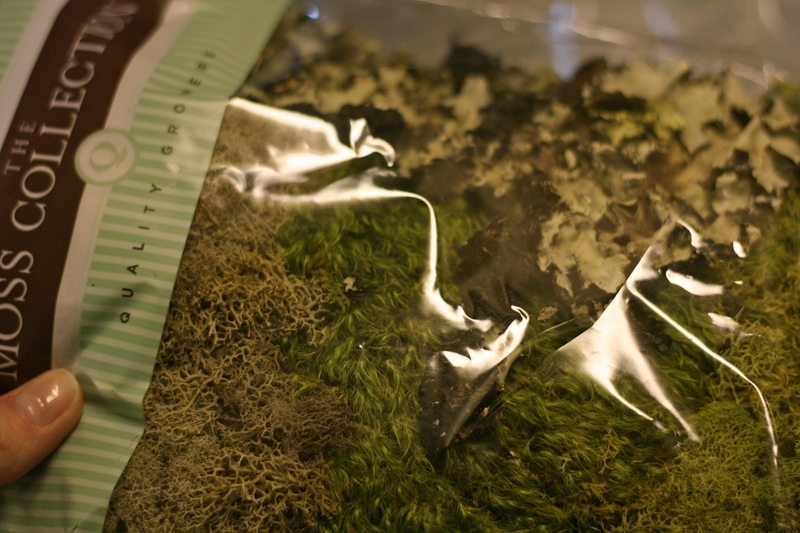 You guys should try this out though, it’s so nice and green and cheery. And you can use any jar you’d like, doesn’t have to be a light bulb! I always see those and actually saved it on my faves one day, so cute! Good job! So cute..and perfect for your Dad’s desk.